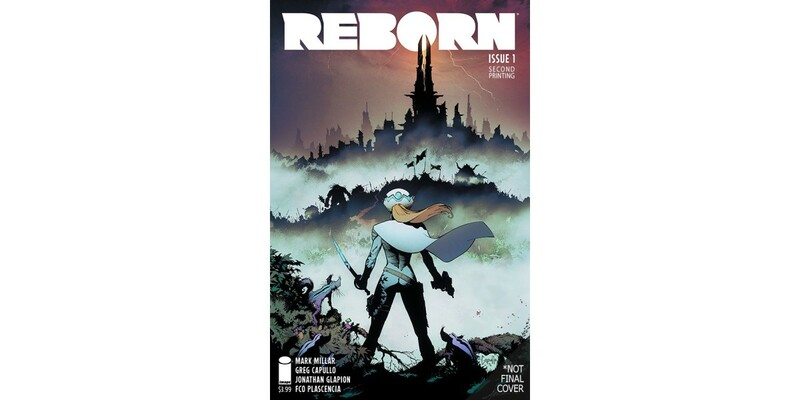 Image Comics is pleased to announce that the highly anticipated new series REBORN by Mark Millar (HUCK, Kingsman: The Secret Service) and Greg Capullo (Batman) which launched today is being rushed back to print immediately to keep up with the overwhelming customer demand. REBORN explores a jaw-dropping world of possibility in a sprawling, science-fiction/fantasy epic that readers won’t want to miss out on. Where do you go when you die? Not heaven or hell; somewhere else. Somewhere you have to fight to survive. Somewhere the people from the past are waiting for you—the good and the bad. REBORN #1 remains available for purchase across all digital platforms, including the Image Comics website (imagecomics.com), the official Image Comics iOS app, Comixology’s website (comixology.com), iOS, Android, and Google Play. REBORN #1, 2nd printing (Diamond Code AUG169429) and REBORN #2 Cover A-E will be available on Wednesday, November 16th. The final order cutoff for retailers is Monday, October 24th. “This is masterful storytelling.” —AiPT!